The Shawn Carter Scholarship Fund (SCSF) provides individual grants ranging from $1,500 to $2,500 to every student who qualifies and reapplies yearly, from admission to graduation. The grant can be used to cover tuition expenses and related supplemental educational expenses such as books, lab fees, travel and select costs of living. All Shawn Carter Scholars are required to “give back” by conducting community service and by serving as mentors to younger, aspiring Shawn Carter Scholars. All high school seniors, undergraduate (2-year or 4-year) college students, and students at vocational or trade schools are eligible to apply. All applicants must be US citizens, 25 years old or younger, and have a minimum GPA of 2.0. The program attracts candidates from all backgrounds, nation-wide. They all have a compelling desire to pursue higher education, in spite of many personal, socio-economic setbacks, including teen pregnancy, former incarceration, interrupted schooling, and homelessness. They are hardworking, resilient and determined individuals who want to make positive contributions to their local and global communities, and they turn to the SCSF to make their ambitions and dreams possible. 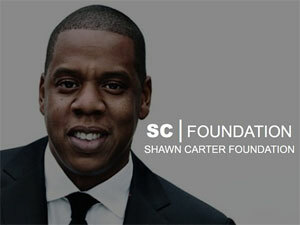 Founded in 2002 by Shawn Carter (Jay-Z) and his mom Gloria Carter, the foundation has since then given scholarships to over 750 students, totaling over $1.3 million dollars. Hurry! The deadline to apply is Friday, May 31, 2013.